With nearly 13 million people on antiretroviral therapy world-wide, which is less than half the number of people eligible to receive it, the price of antiretroviral (ARV) drugs to put people on treatment remains a critical one. 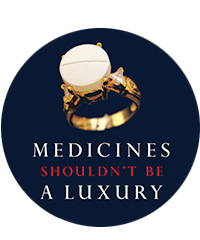 The 16th edition of Untangling the Web finds that although the price of first- and second-line ARVs have come down thanks to increased generic competition, third-line or salvage regimens remain exorbitantly priced, with middle-income countries such as Armenia paying more than US$13,000 per person per year for raltegravir, just one of the three or four drugs needed in a third-line cocktail. Patents remain a barrier on newer drugs and in middle-income countries, and will need to be overcome to ensure future access to them.